CCEDNet-MB staff and members spoke in support of five of the Network’s provincial policy resolutions on June 11, 2012. Joining the Council of Canadians and the Social Planning Council of Winnipeg, CCEDNet-MB met with the Honourable Peter Bjornson, Minister of Entrepreneurship, Training and Trade on the morning of June 11, 2012. The Minister assured us that the Province of Manitoba was working to ensure the proposed CETA preserves the government’s ability to make strategic use of purchasing policies in areas where the obligations of the CETA do not apply (for example, set-asides for Aboriginal businesses and for regional economic development). He also committed to looking into issuing a press release regarding the Province of Manitoba’s involvement in the CETA negotiations which could help increase transparency regarding how Manitobans interests are being defended at the negotiating table. Click here to read CCEDNet-MB’s contributions to the meeting with Minister Bjornson, and here for the follow-up letter we sent him. 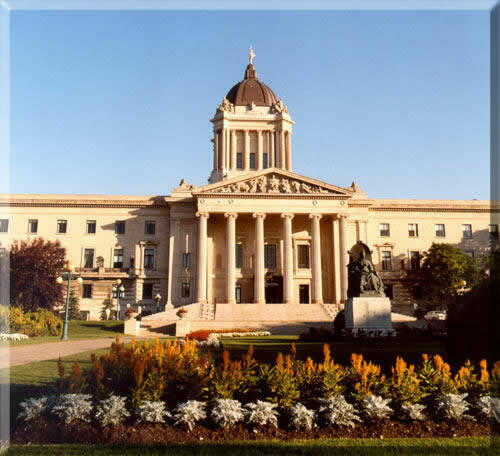 On the evening of June 11, 2012 CCEDNet-MB staff joined members and other allies to speak to the Standing Committee on Social and Economic Development at the Province of Manitoba regarding two Bills that relate to two of our Network’s policy resolutions. The first was Bill 7 – The Community Renewal Act. CCEDNet-MB spoke alongside two others in favour of this Bill which puts into legislation the Neighbourhoods Alive! model of community development through a community-led and comprehensive approach. We were pleased to see that the Bill ensures the development of community renewal plans in consultation with residents, the establishment of a Community Renewal Advisory Committee made up of community-based stakeholders to provide advice on community renewal issues, and the establishment of a Deputy Ministers’ Committee on Community Renewal which recognizes the inter-departmental relevance of comprehensive community renewal and the need for high level leadership. We recommended that the Bill be strengthened by adding the terminology of Community Economic Development including its definition and principles, by strengthening the language to more clearly recognize that community renewal is multi-faceted and inter-connected, and by emphasizing the importance of long-term planning and evaluation, along with adequate long-term core funding to ensure these activities can be carried out effectively. The Committee made no amendments to the Bill, which received Royal Assent in the House on June 14, 2012. Click here to read the CCEDNet-MB policy resolution that relates to this legislation. The second Bill CCEDNet-MB spoke to was Bill 24 – The Energy Savings Act. CCEDNet-MB spoke in favour of this Bill, alongside eleven others, which addresses most of the components outlined in our Network’s policy resolution titled Reducing utility bills while creating economic opportunities for low-income Manitobans. We were pleased to see that the Bill enables the reduction in utility bills for those with the lowest incomes, in particular through the on-meter financing mechanism. We recommended that the Bill be amended to ensure landlords who pay the utility bills cannot raise rents beyond the rental guidelines as a result of building improvements that are gained through this Bill. The Committee later made this amendment. We were also pleased to see that the Bill enables Hydro to support social enterprises and community organizations in assisting people or neighbourhoods in realizing energy efficiency improvements. We recommended the establishment of targets for the number of low-income homes to be retrofitted, the number of low-income neighbourhoods to be retrofitted, and the number of low-income homes to be retrofitted by social enterprises. To facilitate the meeting of these targets, we recommended that Neighbourhood Renewal Corporations be eligible to receive support for working with the community and with social enterprises to complete efficiency upgrades on a neighbourhood-wide basis. Finally, we recommended that the annual energy efficiency plan be developed in consultation with the social enterprise sector and Community Economic Development sector. The Committee made three amendments to the Bill, which received Royal Assent in the House on June 14, 2012. CCEDNet-MB will continue to work with members to ensure that the implementation of these Bills adequately aligns with our policy resolutions.